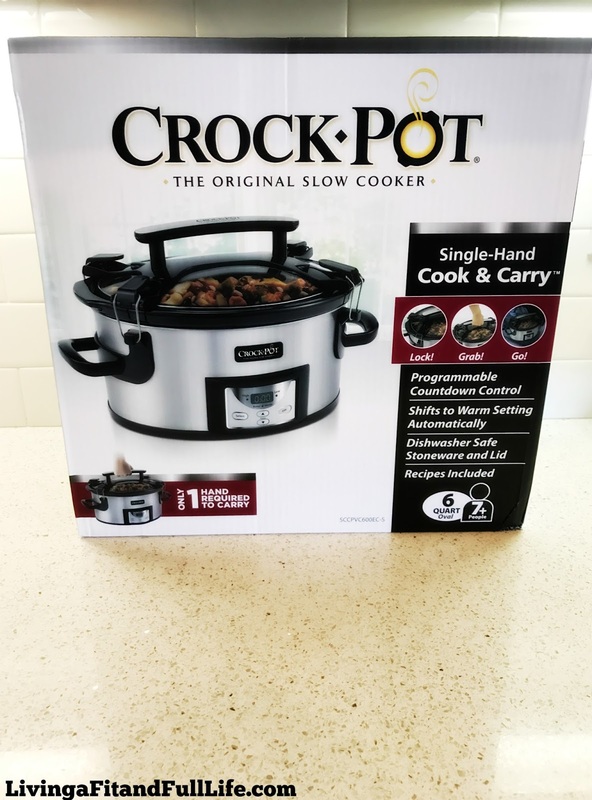 Living a Fit and Full Life: Make & Transport Your Dish to the Superbowl Party with Ease with Crock-Pot's New 6Qt One Handed Portable Slow Cooker with Programmable Countdown Controller! 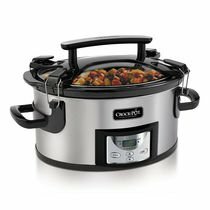 Make & Transport Your Dish to the Superbowl Party with Ease with Crock-Pot's New 6Qt One Handed Portable Slow Cooker with Programmable Countdown Controller! Make and transport your dish to the Superbowl Party with ease with Crock-Pot's New 6Qt One Handed Portable Slow Cooker with Programmable Countdown Controller! I always make my famous chili for Superbowl parties but transporting it is always a pain. That is until Crock-Pot's New 6Qt One Handed Portable Slow Cooker with Programmable Countdown Controller was around. Now I can make my famous chili at home and transport it with ease thanks to the Easy-Grip Handle for spill-proof Single-Hand Carrying. I absolutely love that it's all locked in and can be transported safely. I no longer have to worry about it spilling in the car on the way to the party. The seal is amazing and the handle is comfortable to carry making this the absolute perfect Crock-Pot to transport meals. I also love that it has Programmable Countdown Controller so I can set it and forget it. 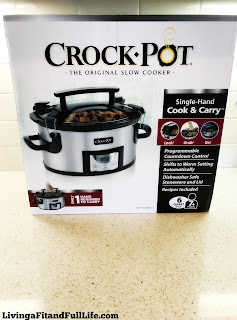 Crock-Pot's New 6Qt One Handed Portable Slow Cooker with Programmable Countdown Controller is a must have that I highly recommend!